This is all about ‘the comeback’ and we all like a comeback, don’t we? 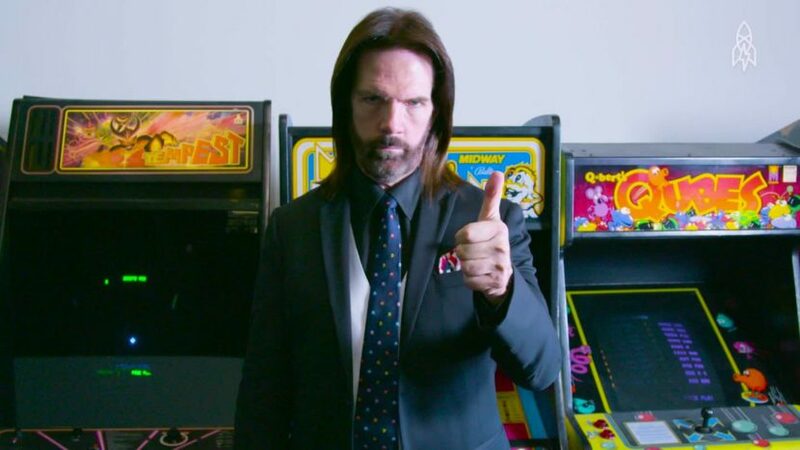 By early 2018, circumstances had turned very dark for arcade gaming legend Billy Mitchell. Our favorite 1980s arcade rock star and the perfect villain of 2007’s “The King of Kong” had seemingly been caught cheating on his high score videos that were a centerpiece of the back and forth in that film. Essentially, he was accused of having run the game off a computer and not original machine hardware, a tactic that would theoretically allow him to save his progress and re-start from a recent playing point if he made a mistake. As a result, it seemed like ‘modern’ Billy’s greatest accomplishments were frauds… he’d surely been an arcade king in his prime back in the 1980s, but the idea that Billy in the 2000s was capable of far surpassing his previous peak scores was seemingly a lie. Things didn’t get immediately better in June of 2018 when Billy showed up at a videogame convention and gave a sort of epic, rambling panel speech. The headline of a recap of that panel mentioned ‘redemption’ but that appearance most certainly was nothing of the sort. From the span of April 2018 until that appearance in June, Billy had continued to make convention appearances and accounts were that he was met with hostility from some outspoken gamer fans. No big surprise. Take a moment to inventory the state of his life at this point. The guy’s geek cred was destroyed, and his entire life was seemingly build on his identity of being a rock star arcade game player over the past nearly-forty years. ALL of his other scores were thrown out, as if they were also somehow tainted too. His hometown newspaper ran a story about how he was a (likely) fraud. Darkness! Well, things seemed to have turned a corner in August of 2018. There was some speculation that this score scandal must have lit a fire inside our favorite arcade villain. He didn’t just slump away into history… he came back. Broadcasting on Twitch, using multiple cameras, Billy ran up a “Donkey Kong” score that essentially matched his “King of Kong” score. Billy didn’t stop there though, and he seems to be using Twitch as a way to clear his name. At this point, the debate online seemed to have shifted – people were admitting that “Yeah, he is capable of hitting the claimed scores.” and instead simply focused on the notion that Billy was dishonest in the compilation of key scores in the 2000s timeframe. If you want to be a naysayer though, Billy has a convoluted claim that he’s tried to float regarding the whole April scandal being a conspiracy against him by a certain hater mob mentality online. Basically, as he tells it, people completely created the claims against him in a takedown effort of sorts. To be clear, Billy has not ever admitted to any wrongdoing in the past. My two cents? I think that he did have a means to cheat set up back in the 2000s but it’s not clear to what extent he used it. The fact that he didn’t disclose his setup shot him in the foot though and was ultimately a dumb move. All that said, the guy clearly has the skills.